At Gist, we specialise in time-critical products such as fresh produce, frozen foods and flowers, so we rely on our drivers to get from A to B both safely and on time. Interested in becoming one of our Drivers? Get in touch today. We bring together industry-leading experience and knowledge developed over decades - servicing our customers with a national network of strategically placed sites and the largest temperature controlled transport fleet in the UK. Working at the core of our business, our Warehouse Operatives work in a fast-paced environment and are essential to ensuring product is picked and shipped for our customers accurately and efficiently. We take pride in recruiting, developing and retaining the highest calibre of people. We want the best people, working in the right environment, so they can fulfill their potential and truly make a difference to our business and our customers. Gist is a fast paced environment where managers lead and empower people to drive the very best results. Gist’s warehouse in Auburn, Washington has sailed through its third Global Food Safety Initiative (GFSI) audit with a result of 98.96% rating. Our free-of-charge programme, presented by our own drivers, was established to reduce and prevent the needless accidents and deaths of young people on the roads. 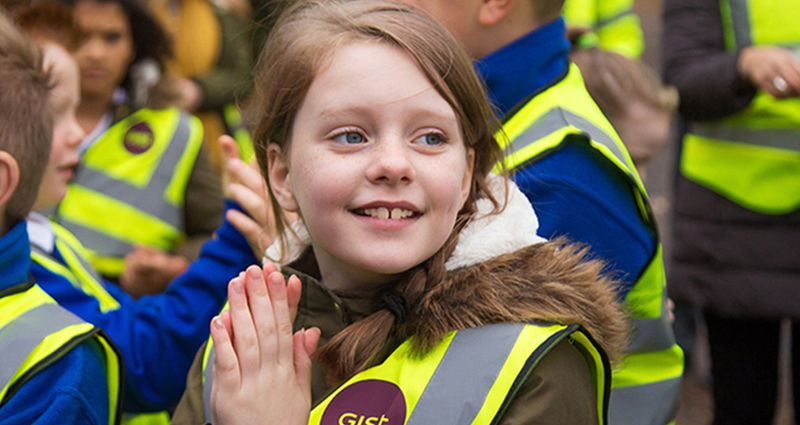 Presented by our own employees, Gist’s Child Road Safety Programme has been presented to more than 100,000 children in schools within our local communities across the UK.